Here are the photos that both gadgets turned in. Iwill repeat that these photos are as they are and no sharpness, contrast, brightness or whatever adjustments were made. Resizing, however is necessary for practical purposes of posting them over the internet. However, 450 x 338 pixels crop of each larger photos were taken and shown here (please click on the respective photos to view the larger or actual size.) 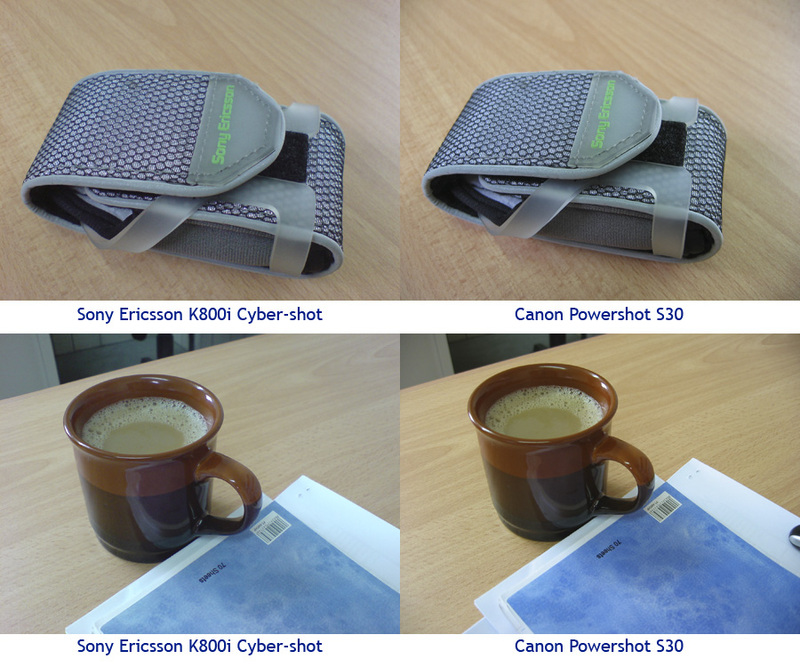 so you can see and decide for yourself whether the K800i has the S30 beaten. I'm sure everyone will have their own opinion and preference. That will largely depend on how much image importance one gives to image quality or how much image quality will one give up to gain a little convenience. Detail crops at 100% resolution. 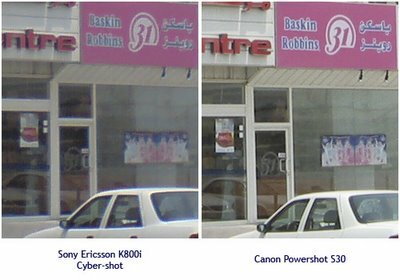 3.2 Megapixels Shootout: Is the cameraphone ready to retire the compact digicam? 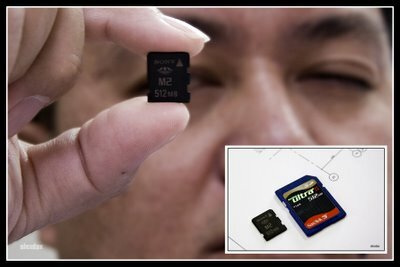 Cameraphones are now capable of producing 3 Mp pictures. The fact that that is good enough to produce quality 4 x 6 prints cannot be denied but just what does that mean, really? 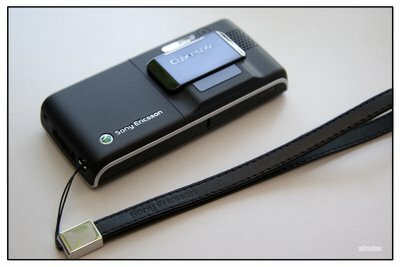 Are camera phones ready to retire the compact digicam? 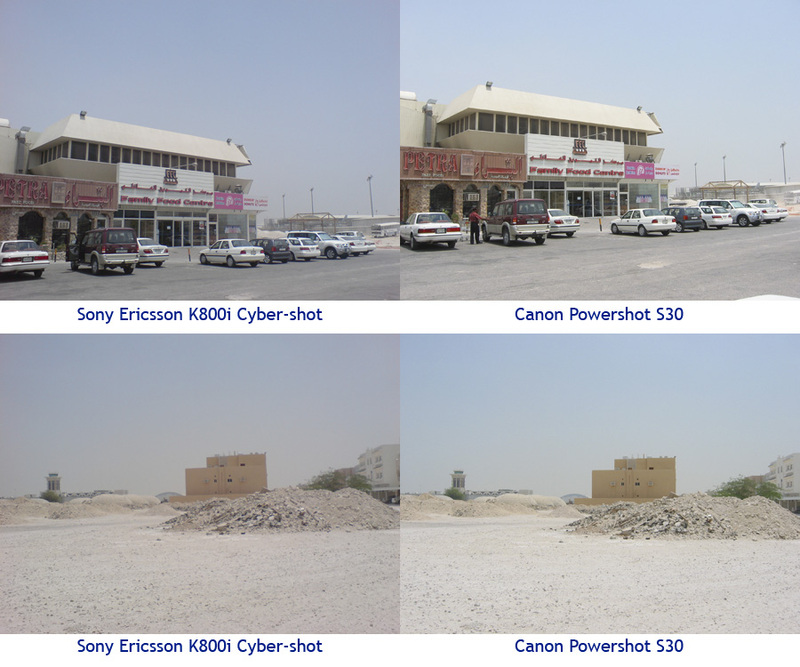 I happen to have a 3.2 Mp Canon Powershot S30 which I bought in 2002. Back then, this was a pretty high-end compact with only the S40 and the G1 prosumer above it. Now, 4 years old, it's starting to show its age compared to todays current breed of compacts. However, the image quality is so good that it can still give contemporary models a run for their money. Like most Canon compacts, this is feature-packed with scene modes, and creative manual controls. It's even got manual focusing! (A noble attempt by Canon but otherwise useless here.) This was my main camera before I upgraded to an EOS 20D DSLR. 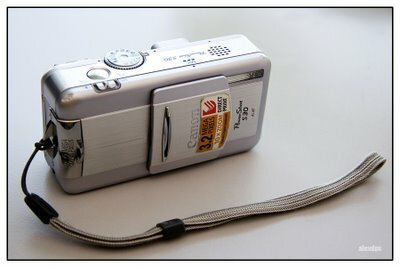 My 4 years old Canon Powershot S30. This has been my work horse and main camera until I upgraded to an EOS DSLR. It still looks good despite the battle scars. (Notice the dent on the upper corner, near the shutter button side.) Representing the compact digicams. 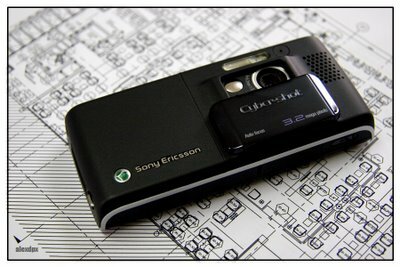 July 2006, the Sony Ericsson K800i Cyber-shot camera phone was introduced to the cellphone market boasting a 3.2 Mp integrated camera with autofocus and a xenon flash, similar to those fitted into compact digicams. 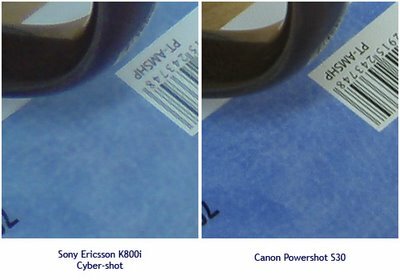 Of course, cell phone manufacturers have already sold 3 Mp cameraphones ahead of Sony Ericsson - but - what grabs ones attention to the K800i is that it's carrying the badge of a major player in the compact digicam arena - Sony's Cyber-shot brand. It sends a message that this is no ordinary cameraphone and presents a challenge. 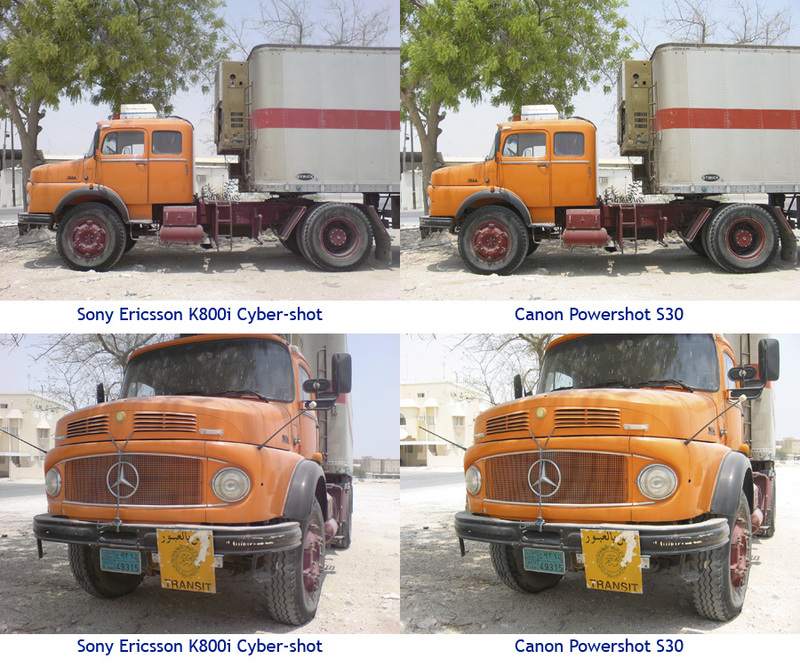 It simply begs the question, "Is it really that good to deserve the Cyber-shot label?" I bought one without the intention of replacing the Powershot. Like most people who cannot survive without a cellphone, I will die if I don't have a camera in my pocket. The nature of my job requires the need to have a camera everytime. 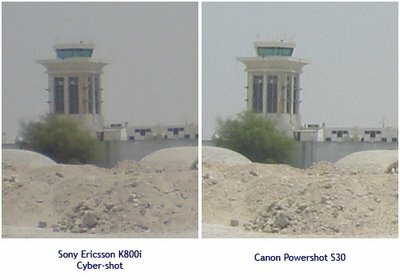 The Powershot is not exactly pocket sized and the quality of pictures I get from my previous camera phones are not that much usable. The other reason is for the photo requirements I have for this blog. 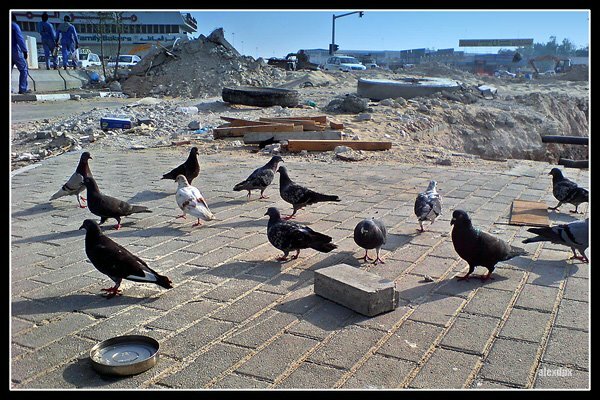 Carrying a DSLR, or even a digicam, anytime, anywhere is not always that practical. It just so happen that the K800i sports the same resolution as my old digicam - nothing more than a coincidence. 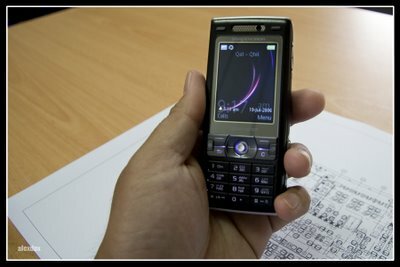 My barely 2 weeks old Sony Ericsson K800i Cyber-shot cameraphone. It belongs to the new breed of cameraphones sporting 3 Megapixels of resolution. 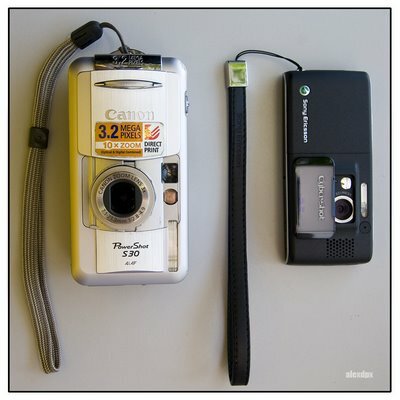 Small, compact, pocket-sized and can do a thousand other things a digicam cannot. Representing the cameraphones. 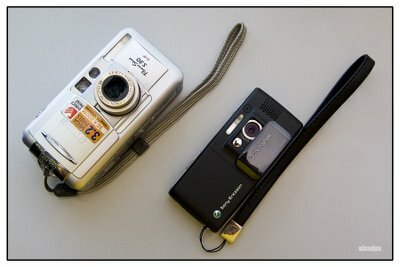 Is my compact digicam really that old and ready to retire? Just how good are the K800i's images, really? There is probably no point of trying to find out which one has more features and better ergonomics or which one offers better value because one is an apple and the other is an orange. These are two different gadgets. 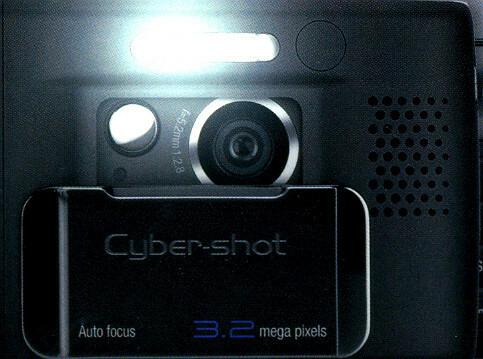 The S30 is a full-blooded digital camera built for the single purpose of taking digital pictures. 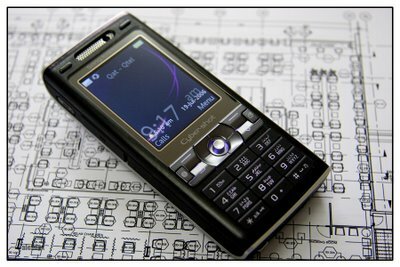 The K800i is an all-in-one gadget, primarily a cell phone, which happens to have a very good camera function. 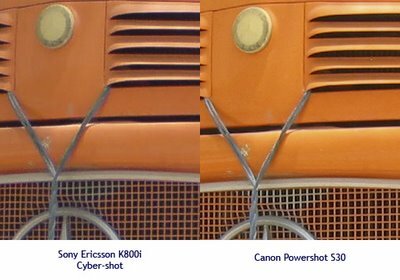 While it can do a thousand other tricks that the S30 cannot, as a camera, it cannot beat the S30's user-interface, optical zoom, ISO settings, and creative manual controls. So, on that note, I decided to restrict the comparison to image quality. For a fair comparison, I had the S30 to adapt to the K800i's limitations. Both cameras have approximately the same 28mm (35mm equivalent) wide-angle lens. 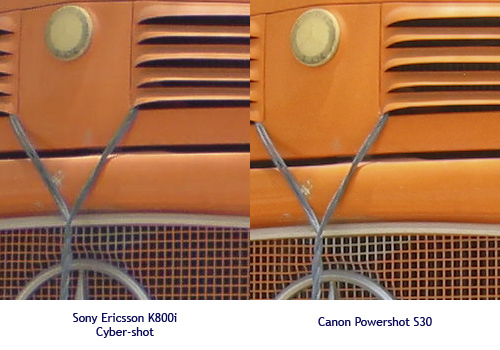 Since the K800i has no optical zoom, all shots where taken using both's widest focal length. Both gadgets have scene modes but for practical reasons, I had them both shooting in Auto mode. Various scenes were shot handheld for both gadgets from the same location, same spot, approximately the same angle and with the same lighting condition. 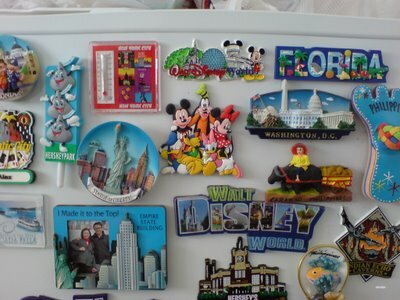 Resulting photos are posted as they are. No sharpness, contrast or brightness adjustments made. No scientific methods and measurement kind of things applied here. 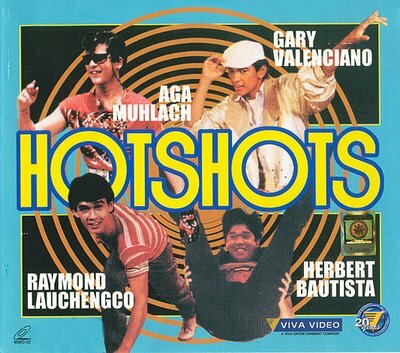 Just plain practical shootout. I think you'll find the results interesting. I will have them featured side by side in my next post. Until then. I've Been Published, originally uploaded by alexdpx. I've been told a few times by friends, "You should publish a photobook." Yeah, right. Like that's cheap. Also, I don't think anybody would be interested to buy them so it's just gonna be an expensive worthless exercise. But I do wonder how my photos would look like printed on premium publication type paper as in magazines and books. QOOP has an affordable solution. It provides printing services to flickr users (and other photosharing websites as well) in various formats. Posters, minibook, photobook, calendar, branding merchandise (t-shirts, caps) or just simply professional quality prints. Well, here's my chance so I ordered for a photobook on-line. 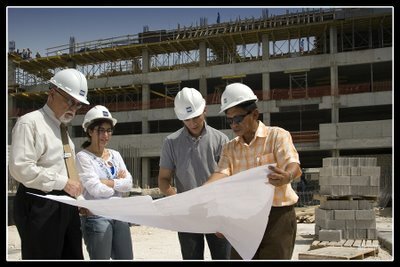 The Process is step-by-step easy and offers a few options. Of course you need a flickr account (free account will do) and authorize access for them to organize your photobook. Here are the order details: Perfect Bound Book (2-sided) = US$ 12.99 (QR 47.41/PHP 663.79) Minimum 20 Pages US$ 0.40 (QR 1.46 / PHP 20.44) each additional page. Total no. of pages = 50 Cost = US$ 24.99 (QR 91.21 / PHP 1,276.99) Shipping (USPS Int'l 1st Class Mail) = US$ 10.71 (QR 39.09 / PHP 547.28) Total Cost = US$ 35.70 (QR 130.30 / PHP 1,824.27) Order Date: 30 June 2006 Shipping Date: 5 July 2006 Delivery Date: 23 July 2006 (23 days from order date, 18 days from shipment date) I'm happy with the quality of prints. Brilliant! They matched perfectly with the colors as I see them on my computer monitor. I ordered for a 6-photos per page layout to keep the number of pages to an even 50. There is also a 20-photos per page layout but my photos would be really small. That would also mean too few pages which I think defeats the purpose of printing a book. I would have preferred a 4 or 2-photos per page layout but that would mean more pages and more cost to pay. It is expensive. 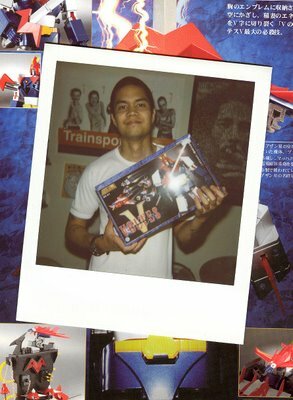 However, seeing my photos in a book (although it's a personal book) feels very rewarding. Will I order again? Oh yes - next year for my 2nd year with flickr. If I do decide to publish a book for distribution, this is definitely not the service I would go to. I'll have to look elsewhere. These are flickr users from the Philippines who have been either contacts of mine or members of the flickr group "Philippines" and "Flickrs Photo Club". We just had a photoshoot of Manila Bay sunset from Baywalk in Roxas Boulevard, Manila. From on-line friends to real friends. I believe, that by now, flickr ( www.flickr.com )is no longer one of the internet's best kept secrets. Many have been written about it's cool features. If you don't know about it yet, I suggest you visit their home page by clicking on the link above and view the quick tour. I think it can explain better what flickr is all about. It has been a wonderful first year! 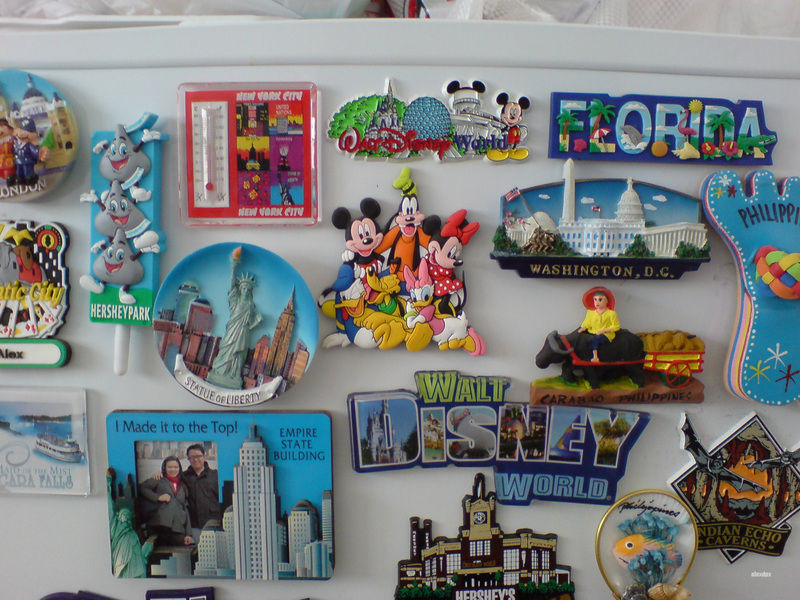 I met a lot of people, mostly from the Philippines. Many became friends on-line while, I had the privilege of meeting some in person and they became friends for real. To celebrate my first year, I ordered this. This is the photobook I ordered late last month from QOOP. It contains 50 pages, 300 of my peronal favorites out of more than 500 from my photostream. I'll probably include more next time. It was delivered to my office today via United States Postal Service. 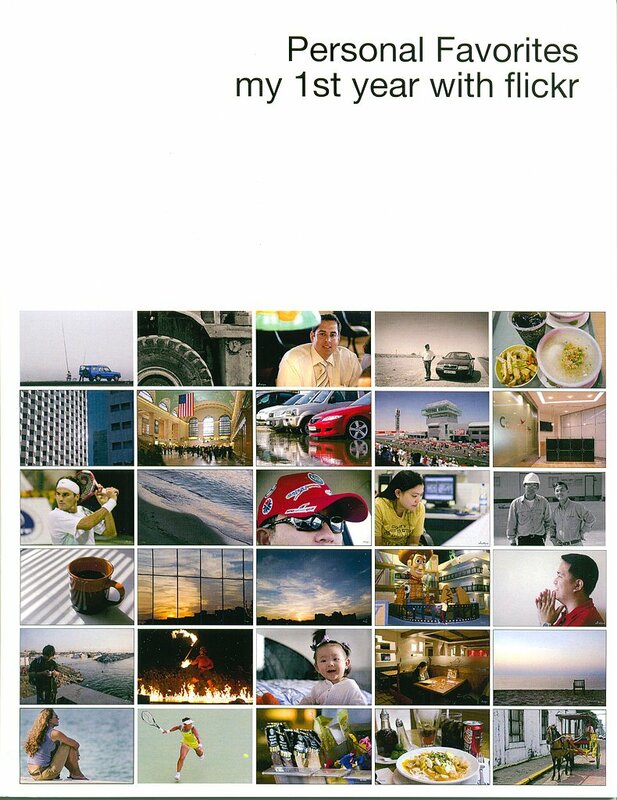 I ordered this 50 page coffee table book featuring my favorite 300 photos posted in flickr from QOOP, another company providing services for flickr users. The photos featured in this book are in my flickr photostream set called "My Personal Favorites". I will write about the QOOP service next time. 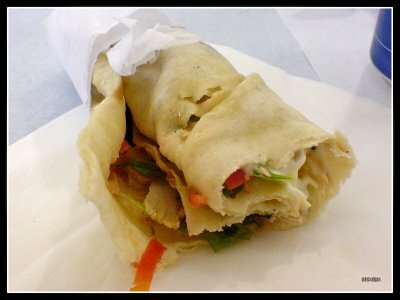 Chicken shawarma at Diwani Al-Bukhari at City Center Food Court. If you want the best dimsum, you go to China. If you want real pizza , then Italy is the place to go. 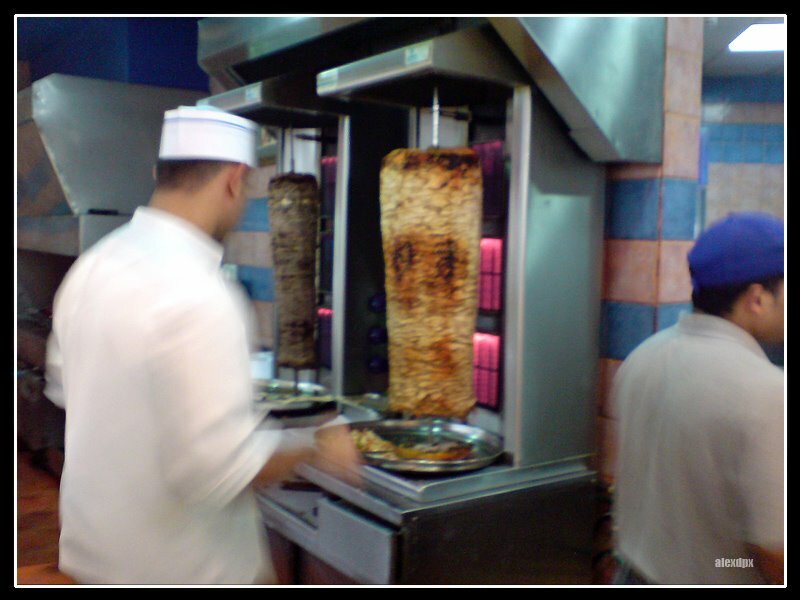 For an authentic taste of shawarma, well, nobody does it better than the Arabians. 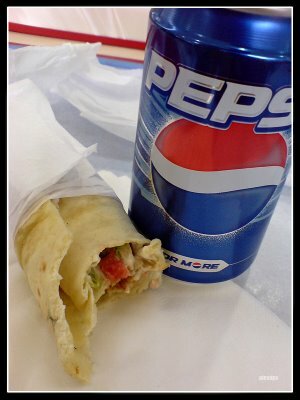 In combination with a tin can of Pepsi, a shawarma meal costs QR 6. 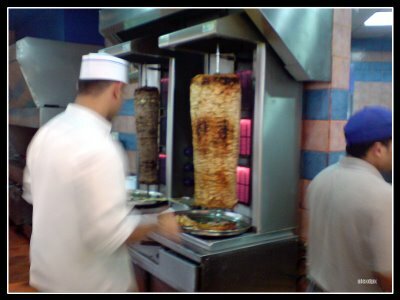 Here in Qatar, my favorite chicken shawarma is made by Diwani Al-Bukhari restaurant, a small food stall at the 3rd Floor of City Center Doha Food Court near the cinemas. One shawarma sandwich costs QR 4. It's perhaps the cheapest lunch available in town depending on how much you eat in one meal. One piece will do me just fine. One skewer grilles chicken meat while the other on the left grilles beef. Note: I think it's worth noting that all photos featured here wer taken using a Sony Ericsson K800i Cyber-shot camera phone. 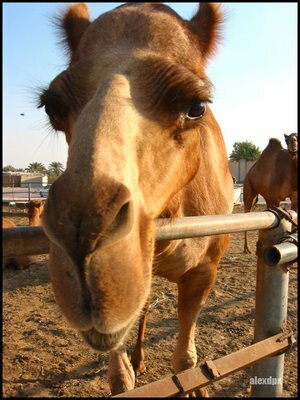 Out of curiousity, this camel came to us so close it almost licked my camera. 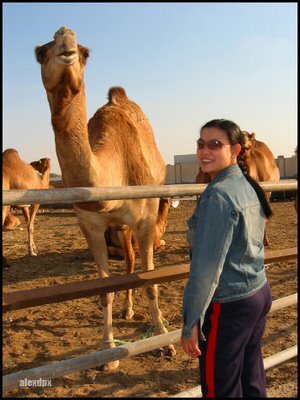 My wife and I were driving by the municipality of Rayyan, west of Doha, when we passed by this camel ranch. I have seen some camels before because of the nature of my job where I spend a lot of time on the road. However, this was a first for my wife. We stopped the car somewhere near the fence and walked towards the camels on foot. We did not enter the paddocks, of course. Just by the fence. My previous encounter with camels was not very pleasant because they stink. The smell is like urine. These camels don't smell. My wife enjoyed looking at them from the fence. At first, they were all in the center of the paddocks but the flash firing from our camera (a Canon Powershot S30) called the attention of some. Usually, animals would become more elusive but some of the camels went to us really close - perhaps they think we have food or just out of curiousity towards the flash. One almost actually licked my camera. They were quite friendly. Most probably because these camels are well taken cared of. They all looked healthy. I think these are racing camels. 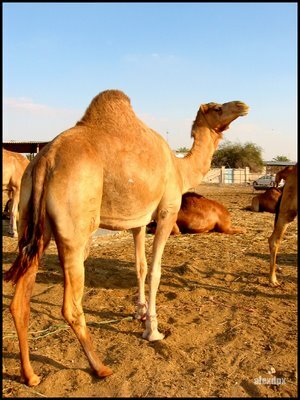 Yes, Qatari's race camels here like horses. I've never watched one but it is part of their culture, I think. At this time, one of the caretakers saw us and started talking to us. Problem was he can't speak a word of English. By reading his facial expressions and gestures, I figured he was asking what we were doing so I showed my camera and with a few gestures I said we were just taking pictures. He smiled so I figured he didn't mind. 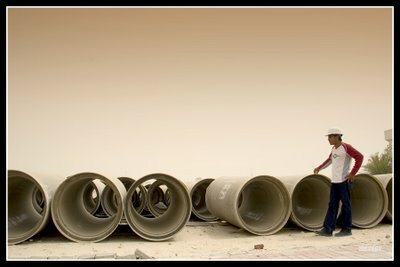 He talked some more in Arabic; I understood a few words. He was asking us if we would like to have a ride. He was also asking for some money. My wife was not up to the challenge at the time so we declined the offer. The other reason was that we could barely understand what he was talking about so I thought negotiations would be very difficult. So we took a few more pictures and left. It was only a few minutes but the happiness I saw in my wife's eyes are precious and priceless. 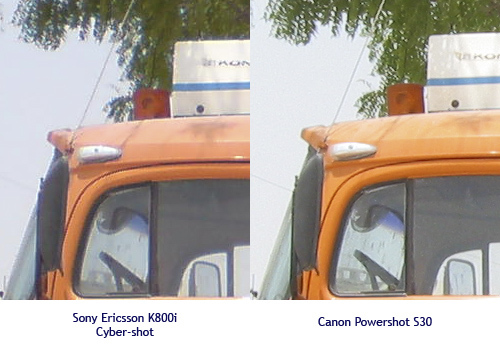 Sony Ericsson K800i: So What's The Image Quality Like? The images featured here are the original photos straight out from my SE K800i. Except for the addition of watermarks and copyright notice, no other adjustments to the images have been made. Please click on the individual photos to view them in full size - all 3.2 Megapixels of them. Color rendition is accurate and vibrant especially when shooting with available light. This is the door of our refrigerator with diffused natural light shining from the kitchen window. The camera has Macro mode and is capable of focusing from a distance of about 50mm (not an accurate measurement). The K800i handled the details quite well. The camera has a "Document" scene mode in addition to the usual portrait, landscape, night scene, etc. Like the mode name implies, it's for photographing letters and other printed documents. I chose to test it with this drawing that has some really fine lines. The result looks easily readable to me. It's got a 16x digital zoom (no optical zoom) and it's quite different from what I expected. The digital zoom that I know simply crops the picture resulting in smaller pictures. This one does the same but afterwards, the picture is interpolated and is enlarged back to 3.2 Megapixel size again. Of course the image quality degrades as a result. The dreaded shutter lag spoiled what could have been a beautiful candid shot. This colleague of mine has got a beautiful smile and her eyes were wide open when I pressed the button. It is perhaps worth mentioning that the K800i has what Sony calls a BestPic mode and this is perhaps the mode you should be using when doing shots like this. In BestPic mode, the camera takes 9 successive shots in a burst within one second and then it prompts you to select the best image of your choice. Afterwards, the rest are discarded. The images are not as silky smooth as I expected them to be. I don't know, maybe I'm just used to the high quality of images I get out of my EOS camera. 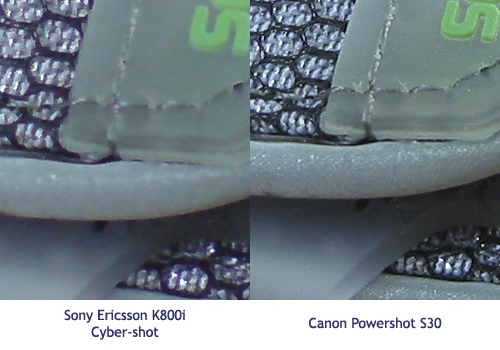 The results look to me like its processor uses some kind of an in-camera noise reduction software. A couple of items I wish this cameraphone has - at least a 3x optical zoom and a Carl Zeiss lens. Those features will make this camera phone even more of a killer. Too much to ask you say? 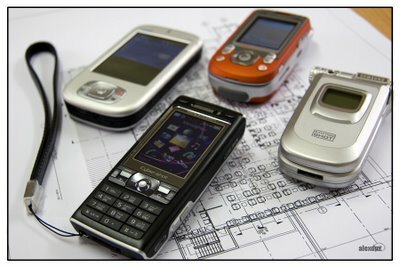 I don't think so because Nokia's soon to be released N93 has them. Generally, I still think that this is a very good gadget for what it is. It's more than adequate for my site inspection and documentation purposes and will be quite handy for party snaps. I have absolutely no doubt that it will produce some good quality 4 x 6 prints. However, I still don't think that this camera phone is qualified enough to take over the job of a dedicated compact digicam. I still would not entrust important events and "Kodak moments" with this camera phone. A teaser . . ., originally uploaded by alexdpx.
. . . to those who know what it is and want it. 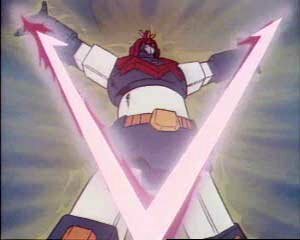 :-) hehehe. 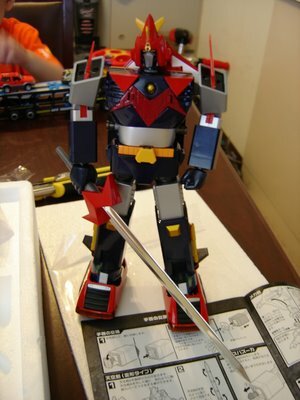 This is my new toy. I will write about it here soon. At the moment, I'm still customizing it and learning what it can really do. See you then. 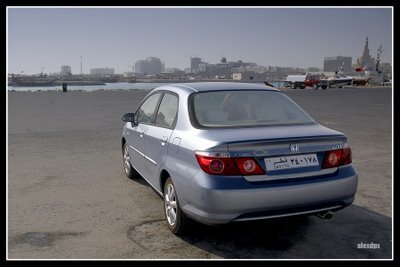 Honda City 1.5 Liters VTEC. We like the sleek sporty shape and the 15" alloy wheels. To expatriates like us working in a place where public transport is either almost non-existent or not very good, owning a car is a necessity. Not because we can afford it but because we need it. Whether you have a brand new car or a used car or even one that's just about ready to fall apart, having one for your own is always better than waiting under the sun hoping that a taxi would pass by or the bus is not too crowded. For people like us, a car is a necessity but to have two may be considered a luxury by many. Not true in our case. Looks nice from the back as it does from the front. My wife and I are both working professionals. Although we work for the same company, our workplace are miles apart. Hers is in the main Doha office while mine is in different job sites. I used to work in the main office as well so having just one car adequate for us. When I moved to site work, it has become more complicated but we can still manage. Now the entire main office is moving to another place which is much farther from our flat - and from my job sites for that matter. Sending her there in the morning then rushing to site and then picking her up in the afternoon is just not going to work. 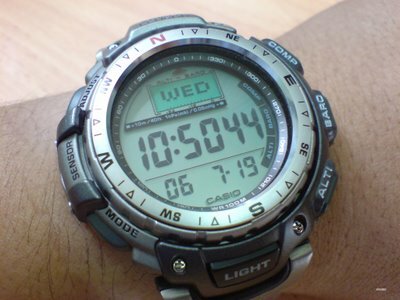 I'd be late all the time and I'll be very tired by the time I arrive at work. Initially we thought of moving to another flat - somewhere closer to the new main office. 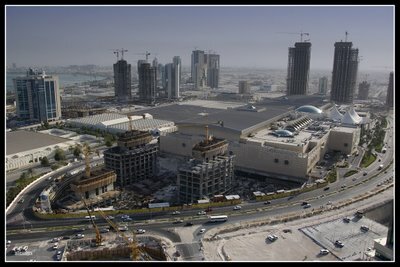 However, the price of apartment rental in Doha is rising uncontrollably and it appears that the rent of a flat about the same size as what we have now would cost twice per month. A colleague subconsciously commented, "You could already buy a car with the extra amount you will pay for the new flat." 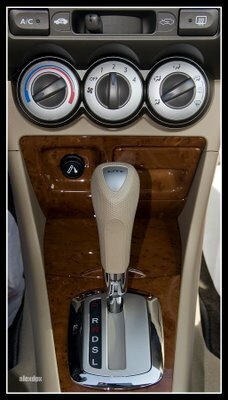 Chrome and false wood finish brighten up the interiors, giving it a more classy feel. I did not took it as a joke and actually considered it. My wife agreed that buying another car, smaller than the X-trail we have, is a better option than moving to a new apartment. Not only is it cheaper monthly but it's also more convenient for both of us. I can go straight home, or wherever it is that I still have to go to, and so can she. 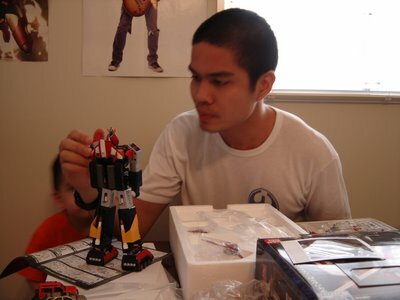 It offers freedom for both of us to do our individual activities. We like doing things together but we just have our own individual activities. So after a few days of looking for a suitable car, we decided on the Honda City VTEC. 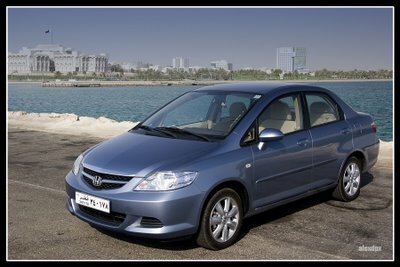 It fits within the budget and during the time we bought one, the dealer is running a promotion - discounted price, free insurance, free registration and free maintenance service for up to 3 years or 30,000 kms, whichever comes first. 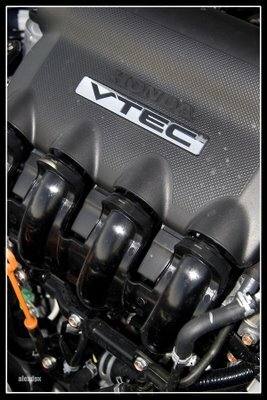 The sparky 1.5 Liter VTEC engine. Instead of going for the base model, which is cheaper, we went for the top of the line model with the 1.5 Liters VTEC engine. It's a beautiful car. Light and nimble, CD player comes standard, tiptronic-like 7 speed mode automatic transmission and the interior finish is a notch up better than its competitors. Very good value for money. The wood trim is obviously not real but it looks nice just the same. My wife looking very happy on the driver's seat of her new car. If it's because of necessity, why did we go for fully-loaded model? 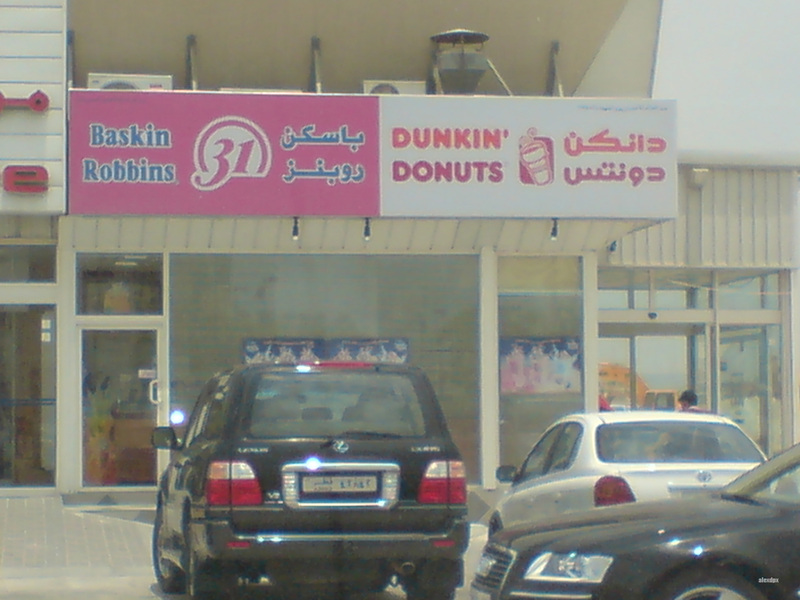 Three reasons. One, the monthly installment isn't really significant. Two, we believe in getting the best value out of our money. And three, because we can. Call it a luxury if you may but for me and my wife, it's a necessity. Hey, I'm back! 'Just finished my assignment during the past week. Man, it was awesome - photoshoot to the max! 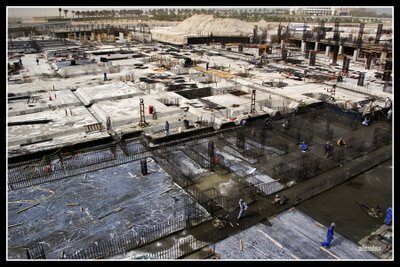 I've been assigned to photograph 15 of our construction sites for our company's publications and marketing materials. 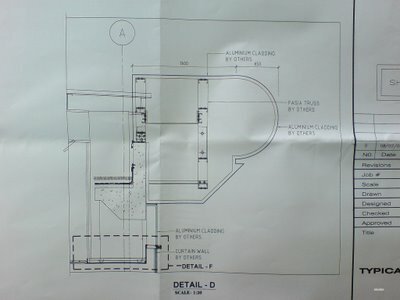 But initially, they will be used for a presentation to the board of directors to our corporate HQ in Sydney, Australia. So how have you been? 'Will start blogging again very soon. My office has just given me an assignment with a very tight schedule. Because of this, I'd probably have my hands off the internet for about a week. Please continue to visit my blog and feel free to read the other articles you haven't read yet c",) I would very much appreciate if you could leave a comment or two. See you all after a week!